Nuts & Bolts of Employer Branding!! One of the most important brands in people’s lives are their employer brand. This employer brand is important in determining the success of your Brand. Building an employer brand means creating a unique and appealing perception of your company in the minds of target candidates and employees which leads to attraction, subtle encouragement and retention. Your employer brand clearly communicates what it feels like to work for your company. This intangible, yet compelling notion motivates target candidates to choose you as an employer and the same time retaining and generating employee loyalty and productivity among your current employees. The bond created by a sense of shared values motivates and retains employees.As such the task of organisations is to align its greatest assets which are its Employees, with what the brand stands for. 1. Know your Employees – Conduct research and attain key insights into what makes your employees tick. What they are passionate about and what they love about the company. This insight will show you where you stand in relation to your brand. 2. Be Clear and Consistent to what your brand is all about – Many a times we go into organisations who have no idea about what the brand is all about. Some also have different interpretations about the brand. It is critical that your Brand Essence is defined clearly and is consistent across the organisation. 3. Map out your touchpoints to ensure its On Brand – It’s important that your employees are aligned to the brand across key touchpoints. The way you communicate and behave with your employees should be the same way you communicate and behave with your customers. 4. Engage! Engage! 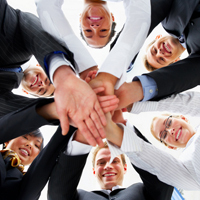 Engage – Engaging your employees is important. A good start is proper training to ensure that they truly understand the brand. This is followed by a Strategic internal brand plan to ensure that all your employees are engaged throughout the year. Do you have a brand platform/essence that is ready to be translated to your employees? Have you engaged your staff through brand training so that they are all On Brand? Are your employees reflecting the Brand? If you need to conduct Employer Brand/ Internal Branding Training and Consultancy Programs to align employees to the Brand, just contact us!